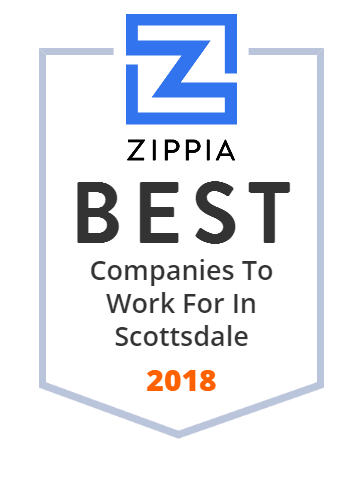 We hand-curated a list of the best companies to work for headquartered in and around Scottsdale, AZ using data on salaries, company financial health, and employee diversity. Since 1985, Meritage Homes has built more than 100,000 homes through money-saving energy efficiency, thoughtful design, and higher building standards. This nationally recognized leader in the homebuilding industry provides services to clients across the country. GoDaddy Inc. is an American publicly traded Internet domain registrar and web hosting company, headquartered in Scottsdale, Arizona and incorporated in Delaware. Magellan Health is a reputable company that is committed to providing excellent healthcare solutions to clients. They combine clinical experience, advanced analytics, and agile technology in helping people live a healthy life. Reality Executives has been in this industry for over 50 years now. Their goal is to help buyers and sellers through every step of their real estate transaction. Reality Executives has a team of real estate agents who specialize in helping you know your property's market value to determining its listing price. Medicis Pharmaceutical is a medical cosmetics company based in Bridgewater, New Jersey. It is a subsidiary of Valeant Pharmaceuticals, which acquired the company in 2012. Medicis is known for products such as Solodyn and Ziana for treating acne, and for Restylane and Dysport for treating facial wrinkles. Formerly Taser International, Axon is a company that specializes in providing smart weapons, police body cameras, cloud-based evidence management software-innovative, safe, and secure solutions for law enforcement, militaries, and citizens alike. We tap the tremendous power of kenaf to create sustainability solutions for business, industry and consumers. Envision Healthcare is a national leader in providing private ambulance and fire protection services. They are focused on delivering superior service within an efficient operating model and includes standardization of key systems. They are very commitment to advanced technology to improve their services to the people. Taylor Morrison is a recognized company in the homebuilding industry. This award-winning builder has been building safe and beautiful homes for more than a century. FSA Food is a privately-held, family-owned company that provides foodservice solutions to clients in the mid-west, west, and Alaska areas. They have state-of-the-art distribution centers that offer quality services to public or private, independent or chain, as well as local on national businesses. Forever Living was founded on 1978 and is now a multi-billion dollar, life-changing company that manufactures and sells hundreds of wellness and beauty products all around the world. It was Rex Maughan's passion for better health, quality products and financial freedom that inspired him to found Forever Living Products. APL is one of the world's leading ocean carriers providing comprehensive global container shipping services in over 70 countries via their global network. They also bring customers unparalleled coverage across all major east-west trades. They are offering 38 loops under the Ocean Alliance scope, with more port calls and port pairs served at additional frequencies. Valley News Restaurant Redux Valley restaurateurs bid adieu to their original concepts and debut new ones in their spaces. Founded in 1896, Scottsdale Unified School District is a reputable institution that provides comprehensive academic programs to students in the Arizona area. The institution has 30 schools serving about 23,000 students and more than 3,000 employees working to ensure the students get an excellent education. A premiere general contractor in Scottsdale, AZ. Platinum Companies' team of innovators and imagineers stay at the forefront of design and construction quality.